My coffee aficionado friends are dying to visit this cafe because of its rare coffee machine, Slayer. It is a manual coffee machine and only specially trained barista is able to put off a good coffee using the machine. Besides the superstar coffee machine, this place attracts a lot of people due to its mellow ambience that invites nostalgic senses. Decorative items such as old tiffin box, rattan chairs, leg-paddled sewing machines are all so familiar from our childhood memories. I love The Fat Bee for its location. It is located next to Holiday Inn Hotel, away from the crowded spot at Jonker Street. There's always plenty of parking even on the weekend. For a peace of mind without getting stuck in the jam and worrying after parking, I always choose to go to The Fat Bee. The cafe has all the sunlight you need to make an Instagram photo lit. Navy Cafe is currently my favourite brunch place. On the menu, there are a lot of experimental food such as avocado toast and fruity smoothie bowl. It has a Scandinavian styled interior and lots of wood elements which can pass off for Kinfolk editorial. It is within walking distance from Jonker Street (adjacent from the junction near The Daily Fix). However, seating is limited. I love Kaya-Kaya for its brunch as well. They make really good pasta and scrambled eggs. Although I don't fancy their coffee, it is still a great place to hang out. I particularly love the courtyard seating which overlooking their signature graffiti wall. At the courtyard, there is a calm, serene and peaceful feeling when you hear the nearby temple bells ringing. 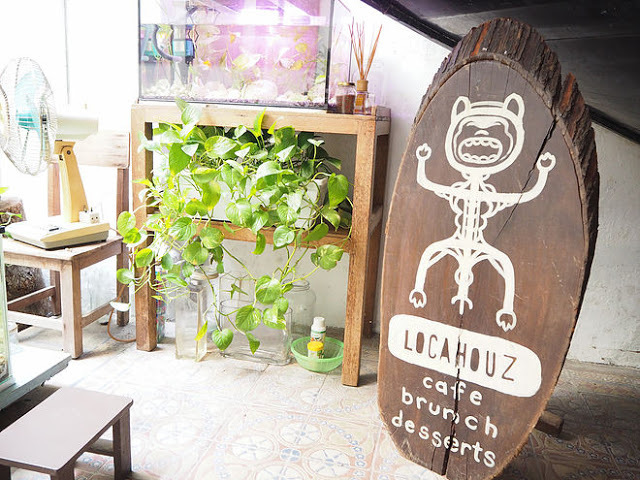 Locahouz used to be a popular cafe until they moved to Bukit Cina. At the new location, the cafe is brighter, feels homier and has more tables to accommodate more guests. 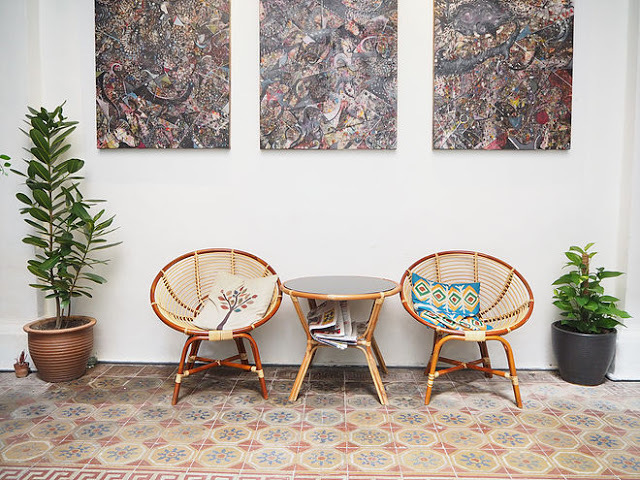 Locahouz has a sister cafe that located nearer to Jonker Street called the Baboon House. I personally like Baboon House better, but due to its no-photograph house rule, I don't have any visual to show on this blog. Baboon House serves better food. Locahouz has its own charm as well. If you're a plant lover, you'll love these two cafes. It is filled with green foliage. If you need more information about the cafes, you can head to my local blog called Eat Play Sleep Malaysia. You can find lots of information about Melaka, especially on food. You can click on the link below to go to the respective review of the food. If you ever come to Melaka, do let me know. I'd be more than happy to go on a cafe hopping trip with you.